Enjoy a sumptuous seafood buffet every night from 6:30–10:00pm at Palm Court Restaurant in the Metropark Kowloon Hotel. 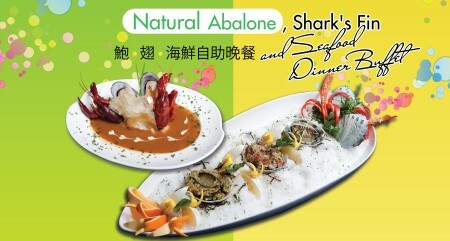 The menu includes abalone, shark’s fin soup, prawns, and more for HKD298 (USD38) weekdays and HKD328 (USD42) weekends. Hotel guests receive a 10% discount and all diners can save 5% by making online reservations. This promotion is available until September 30, 2011. In addition to fresh seafood, the buffet includes a selection of desserts and unlimited servings of chilled fruit juice. Children will be charged at a special rate of HKD188 (USD24) Monday to Thursday and HKD218 (USD28) for dinner on Friday, Saturday, or Sunday night. All restaurant prices are subject to 10% service charge. 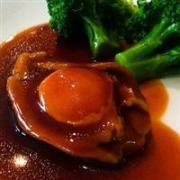 Online dinner reservations must be made at least 2 days in advance to receive the 5% discount. Visit the Metropark Hotel Kowloon website at www.MetroparkHotelKowloon.com for more information about dining promotions or to make an online reservation. Reservations can also be made by calling Palm Court restaurant at (852) 2760 3666.